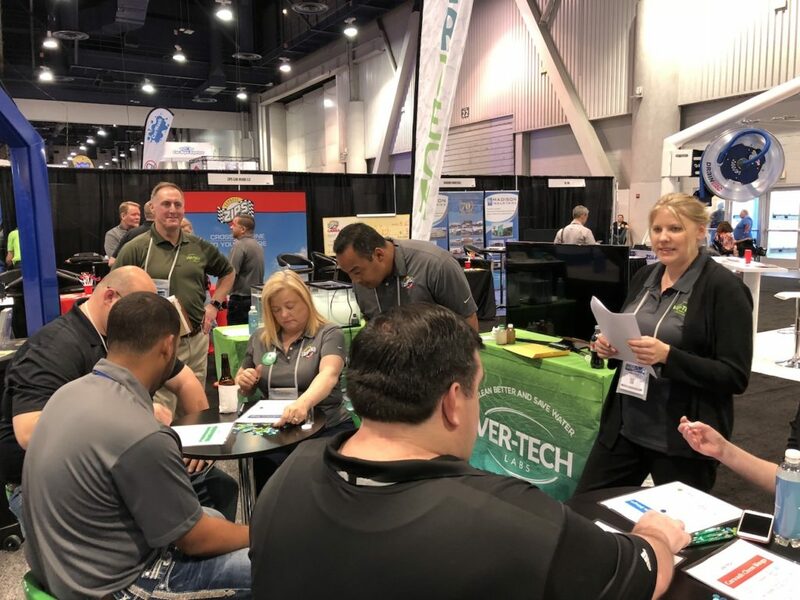 Last week we had a great time at the Las Vegas Convention Center networking with other carwashing industry professionals. Many of our customers came out to check out the latest trends. 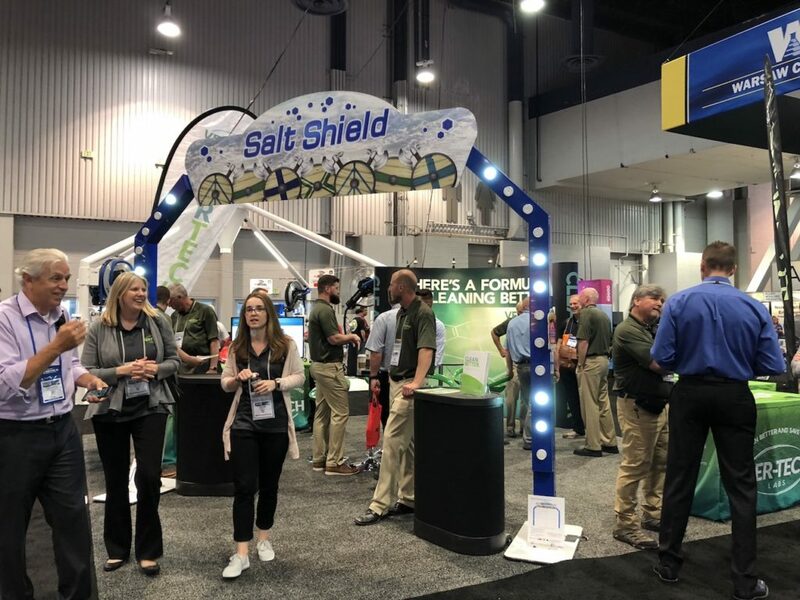 We had the privilege of speaking with many individuals about our chemical products, reclaim compatibility and how we do business. Along the way we had a little fun as well, running a chemical bingo game. Winners received $25 worth of gambling chips to the casino colocated with the convention center. Here’s the crew from Zips with Harrison Hemphill playing Chemical Bingo. Smart crowd, they didn’t need much help figuring out the answers. 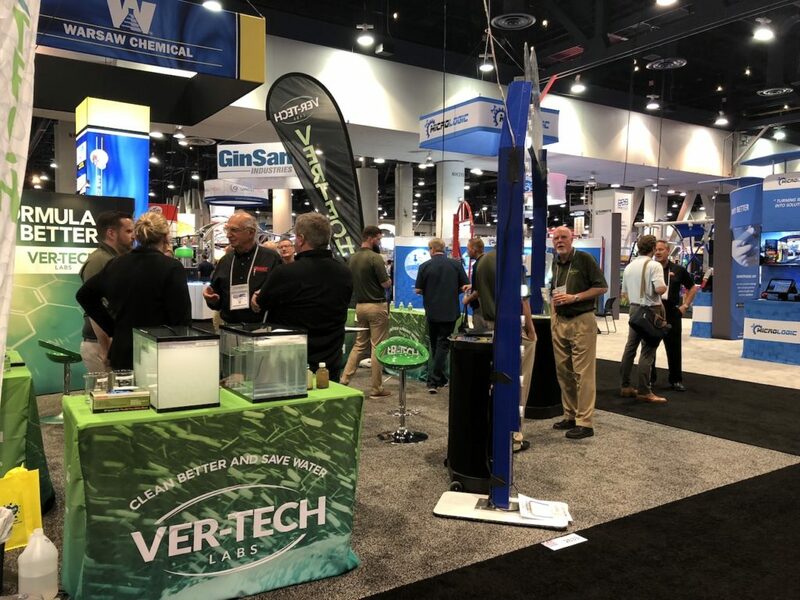 There was a lot of interest in reclaim compatible chemicals and what makes Ver-tech Labs products different. We demonstrated a simple reclaim system using reclaim compatible and non-reclaim compatible chemical products. The reclaim compatible products kept the water clear and ensured the water was free running through our simulated system. The system that used non-reclaim compatible chemicals remained cloudy and actually clogged the return of water back in to the system. In a carwash, using our reclaim compatible chemicals is a better alternative to using products that simply “mask” reclaim system odors, Our products will actually improve your system and most customers notice a significant improvement within a week of using our chemicals in their smelly reclaim system. 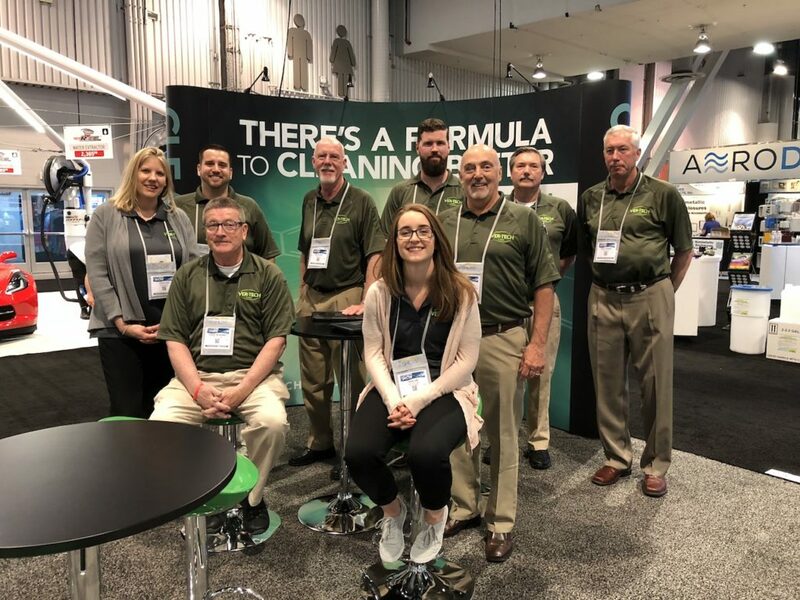 Our technical staff, Jami Sloan, technical director and Erin Lee, staff chemist carved out some time to walk the floor with one of our suppliers. Our technical acumen and R&D efforts are of great interest to our suppliers. We share some ideas on the progress of our research and look around for new applications. The Car Wash Show gives us the opportunity to introduce our products and our way of doing business. Not everyone should be a Ver-tech Labs customer. 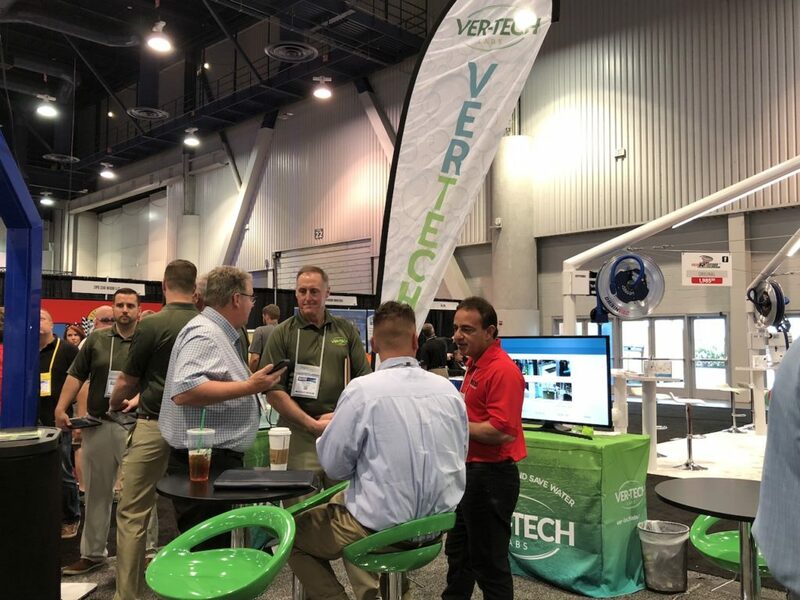 If your mantra is to cut costs at the expense of a really clean car – then you shouldn’t be using Ver-tech Labs products. But if you are there carwashing professional, interested in giving your customers the best carwash experience – then we might be the chemical supplier for you. Our products are manufactured with solid science behind them and our field representatives work with team expertise, integrity and a passion for cleaning cars. 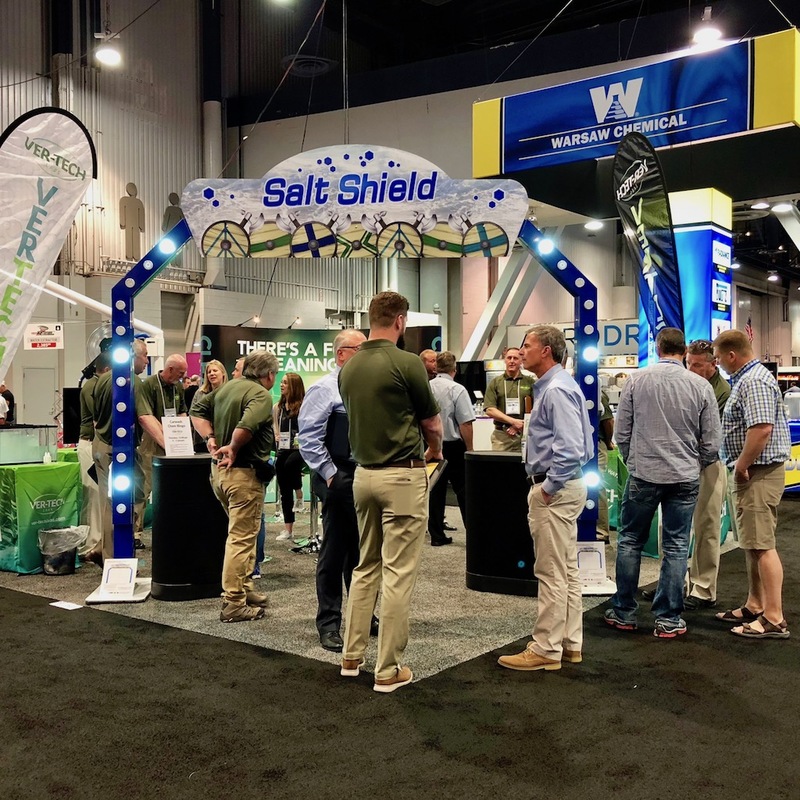 If you didn’t see us in Vegas – be sure you stop by our booth in Nashville, May 2019, Booth 2453. Some of the stellar Ver-tech Labs team – we manufacture the BEST carwash chemicals!